It seems that every day a new super food or gadget promises to be the key to making healthy eating a reality. 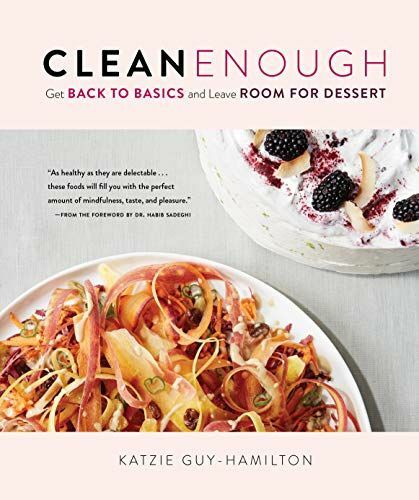 Ditch the trends and get back to basics with this comprehensive guide to cooking with simple, whole ingredients that don't require sacrificing flavour or satisfaction - including the often taboo category of dessert. Here are over 100 inspiring recipes that make real foods - from greens and grains to chocolate and cream - sing, with methods and combinations perfect for whipping up on a weekday night, leisurely preparing on weekends with plenty of leftovers, or impressing guests with at a dinner party. From energising the day with a Green Pow Wow Smoothie, munching on Luxury Granola at the office or on your sofa, savoring a crisp bite of Charred Broccoli with Poached and Crispy Miso Sweet Potatoes, or indulging in a slice of Pan di Spagna, this refreshing approach to health proves that eating clean enough is the key to satisfaction at every meal.